Do you struggle with your kitchen cleaning needs? We all know what struggle it is to perfectly clean a kitchen. 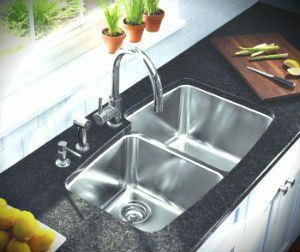 If you hate cleaning your kitchen, which is one of the dirtiest rooms in the house, because that is where we prepare our food, and there are grease stains, cooking smells, etc, etc. If you are sick and tired of doing it, do not hesitate to call our company and hire our help. Our company is a cleaning services provider and we operate here in Hendon NW4 and we are offering you the most convenient and inexpensive kitchen cleaning service. Call us now. 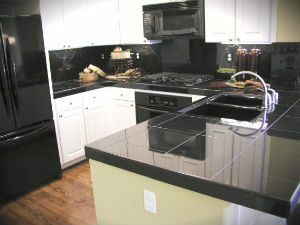 Our cleaners have rich experience with a variety of kitchen, their sizes and furniture, appliances, and degree of dirt. And we can assure you that our cleaners are qualified to deal with any challenge. Our cleaners will clean every nook and cranny in your kitchen, from top to bottom. They will clean the exterior of all of your kitchen appliances, and clean your microwave inside and outside. They will also clean the windows and deodorize your kitchen. They will cobweb, sanitise the sink, they will vacuum and mop the floors. They will clean the extractor fan, light fittings, dust thoroughly. Our cleaners use efficient cleaning products, and you can rest assured that your kitchen will be cleaned and sanitized by the best professionals in town. You can expect nothing less than perfect results. Do not hesitate to call us right now. Our call centre is available to you 24/7. Choose our company for your kitchen cleaning service provider and enjoy the many advantages that come with it. We assure your our kitchen cleaning service is the best one you will find in NW4 London.